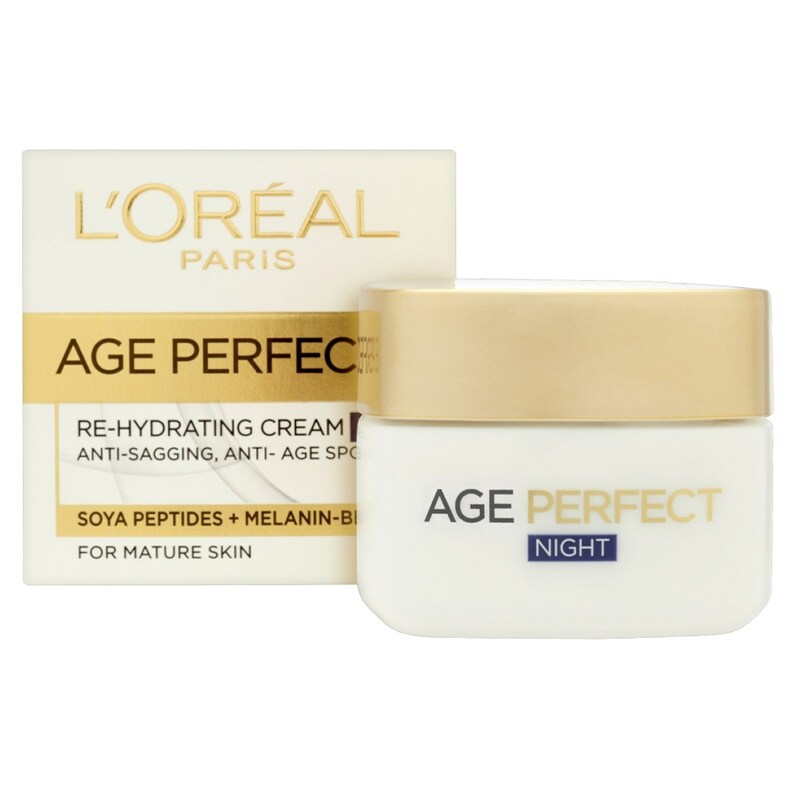 L'Oreal Paris Age Perfect Re-Hydrating Night Cream, texture is rich but incredibly light and it's quickly absorbed giving you a feeling of well-being. As we mature, the metabolism of the skin slows down and gradually the skin loses moisture and can start to sag. L'Oreal Paris Age Perfect Re-Hydrating Night Cream is enriched with Collagen-Boost, Melanin-Block and Re-Activone to reduce the appearance of sagging and age spots while the natural oils compensate lost lipids in the skin providing lasting hydration and leaving the skin feeling comfortable and supple. Apply every night on a thoroughly cleansed face and neck.Massage into the skin with circular motions for a better absorption.To Complete Your Regime:Cleanse your skin with Age Perfect Milk and Toner.Apply Age Perfect Re-Hydrating Day and Night Creams daily.For the eye area, use Age Perfect Re-Hydrating Eye Cream. My Mom likes this cream very much & uses together with a day cream. She says that her skin becomes more smoothed and delicate. It`s a pity it is not sold in our contry, so we ordered at echemist.co.uk & left very much satisfied! Recommend the product & the shop! 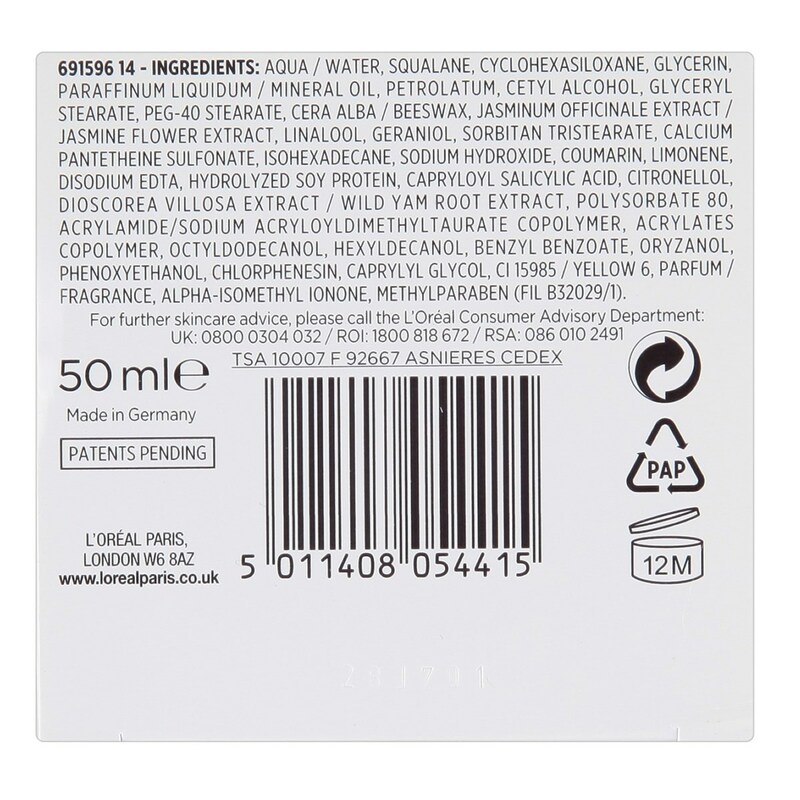 Thank you for your interest in L'Oreal Paris Age Perfect Re-Hydrating Night Cream. Enter your email and we'll contact you as soon as it's available again.